LPRC is excited to announce that we will be holding our annual Supply Chain Protection Summit. 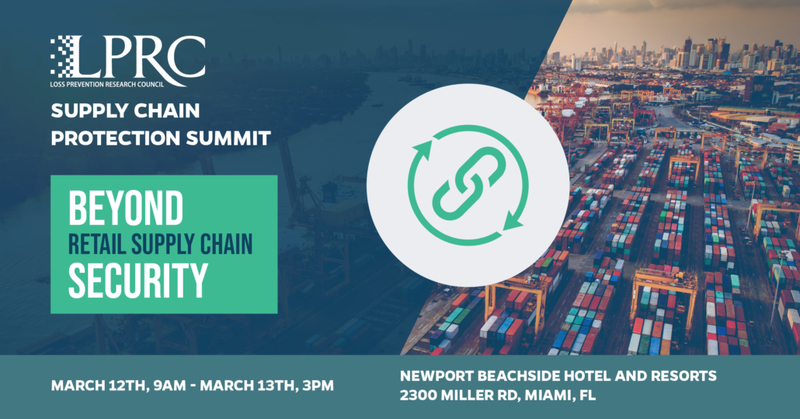 The Supply Chain Summit is a chance for supply chain security professionals to come together to review LPRC research on supply chain protection issues, hear from industry experts about how they can improve their supply chain protection operations, and to collectively form the research agenda for the next year. This year’s focus will be advancing retail supply chain security by adapting insights from other sectors, and fostering closer cooperation with manufacturers, distributors, and law enforcement. Sponsorships Available! Please contact jessi@lpresearch.org for more information.